Did you ever want to see your own art on cards to send to family and friends? I'd be happy to print them for you! All you need is a high quality jpeg image and the rights to use the image and I will make you a card. Simple as that! easy-peasy! 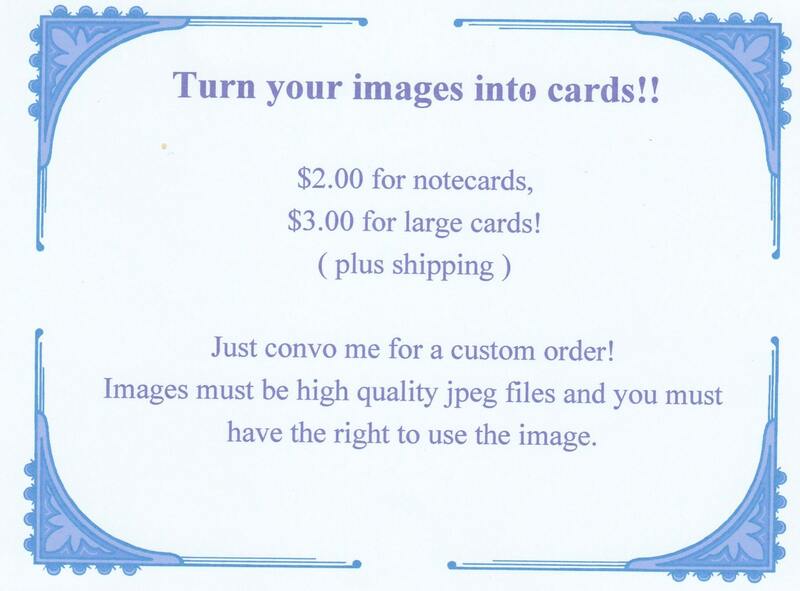 This listing is for one notecard with your image that measures 4" x 5" and comes with a white envelope. If you want multiples, just convo me! I do NOT keep your images for my personal use.